Perfect for decorating wedding party and art hall. It is suitable for many places, such as flower store bar, cafe, dining room, billiard house, hotel, club wall decoration, creating contracted but fashionable atmosphere. Ideal for potted plants, water bottles, home decoration, etc. 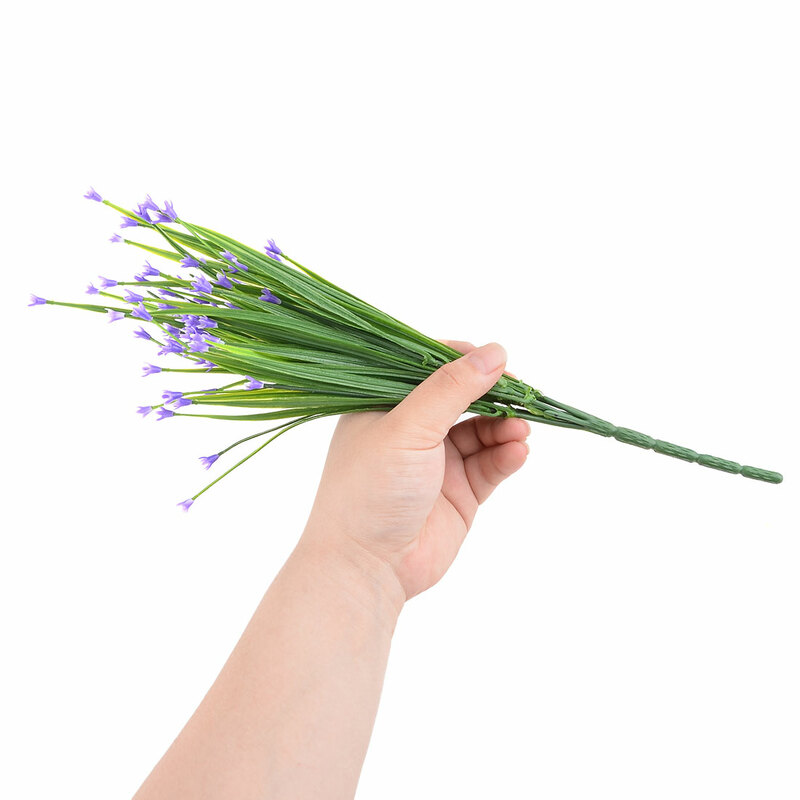 This artificial flower retains spring all year round, remains looking fresh year after year. Available Color: Yellow, White, Orange, Purple, Fuchsia. 1.There might be some smell, you can put it in a ventilated place for about one or two days. 2.Due to the light and screen setting difference, the color of item may be slightly different from the pictures. 3.Please allow 1-3cm difference due to different manual measurement. These artificial bouquets flowers create a romantic look that makes for a wonderful wedding! Suitable for weddings, stages, parlours, bedrooms, offices, hotel, dining rooms, birthdays, stores private club and any other place that you want to decorate. A good decoration whatever indoor or in your garden. It is also a creative gift to your female friends. Light and soft, it is good to be put lots fake flowers together and it is perfect to exhibition.